This was made in about 3 months. Fixed some of the text and made so you can skip two of the block puzzles. 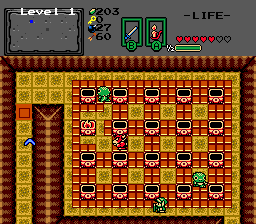 Added more enemies, and fixed most of the traps. try and use all of you items. This quest seems like an Isle of Rebirth lite, and not just because of the tileset choice. Though the storyline here is beyond an afterthought, and the quest is very short, the clever use of puzzles and meticulous dungeon design made me enjoy it. - The overworld is small, easy to transverse (plus, there are warps), and there's enough secrets littered about the overworld to keep you interested. - The block puzzles, ice-block puzzles, and creative item puzzles in each dungeons are some of the best I've played. Although many of the block puzzles made me think, they are very solvable and I was only really stumped by one. - The Low-difficulty of the quest makes navigating the expansive dungeons less frustrating, unlike IoR (level 7, ugh) where the dungeons felt downright sadistic at times. - The dungeon design makes progress through logical, unlike IoR where you often had to remember complex screen patterns and get through a dungeon by magically picking the right way. - The insta-death floating and seeking wallmasters in the cave between level 4 and level 5 make this phase of the game challenging. - The feather/hookshot jumps over water and lava are tough to get a good technique down for (I wouldn't even try it without a gamepad). - The purple darknuts in level 5, whose swordbeams you can't block because there's no level-2 or level-3 shield, and who are wildly impractical to try to kill. It was interesting, in a stressful kind of way, to try to solve puzzles while feather jumping over a screen full of manic purple darknuts. - Bosses were too easy IMO. - Talking to NPCs reveals a poorly edited script as far as grammar and typos go. There's also very little useful to be garnered from talking to NPCs. Overall, if you're after a quest with interesting dungeons that have a cerebral feel as far as puzzles go, you can get a solid 8-hours of gameplay out of this. I love the game because it had creative puzzles. Alright, so I recently beat this quest and it's about time to rate it. At first, this quest had a bit of promise, but as it went on, it started to get worse and worse, which is why I'm giving this quest a 2. - Puzzles EVERYWHERE. Now, don't get me wrong, puzzles are usually a good thing in quests, but this quest abused them. Even when they were used, almost all the puzzles were WAY too difficult or they were very cheap. Eventually, seeing this many puzzles became very boring and repetitive. There were some interesting puzzles, but they were all overused and abused, which ruined the whole quest. 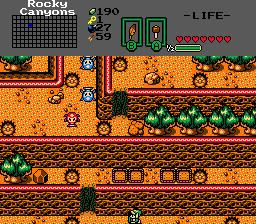 Furthermore, there were some 'puzzles' which were very cheap, such as having to use the Hookshot when jumping into lava. As cool as it might sound, it's actually a terrible idea, mostly because you can lose a LOT of hearts if you keep missing, and that's pretty unfair. - Enemy choices. Variety is a nice thing with enemies, however this quest lacked a lot of it. I usually feel annoyed when there's one or two enemies seen in the entire dungeon. I feel that there could've been a bigger enemy variety in the dungeons, with more enemies that suit the theme of the dungeon, rather than just one or two enemies for the whole dungeon and that's it. In addition to this, Level 5's basement was just plain terrible. The sword-shooting darknuts are just impossible to avoid and I find that to be really cheap. - Dungeons drag on. Big dungeons are nice here and there, as long as they aren't annoying and repetitive. Sadly, this is the case for these dungeons. I felt that the dungeons dragged on forever seeing the same puzzles, ideas and mechanics over and over (with a few exceptions). 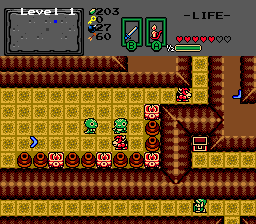 Even worse is the fact that these levels were just waaay too long for my tastes, and felt like IoR's dungeons (though I did like most of those dungeons). Every dungeon felt like a chore to do, except for Level 1, therefore I didn't really enjoy them as much as I thought I did. - Trap spam. It's nice to have traps for neat puzzles and stuff like that, but this quest just overused them. Placing traps almost everywhere is not a great idea, especially when you make them really hard to avoid. I would suggest to tone down the traps, since avoiding those were really infuriating. - Overworld colours. This one doesn't affect the rating, but I wanted to say this anyway. 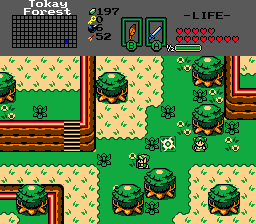 Using the CSet sprite colours (CSet 7, 8, 9 etc) for the overworld is a horrible trend and I really don't understand why it's still a thing. There's a reason why overworld palettes exist for EZGBZ, and it's for people to use them. 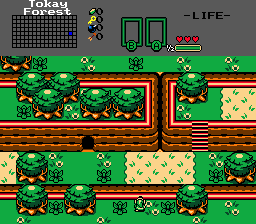 The screen design for the overworld was nice, but if you used actual palettes from the palette list, the overworld would've looked MUCH nicer, believe me. So with all that said, this quest had some promise, but all those negative points I mentioned brought it down to a 2. 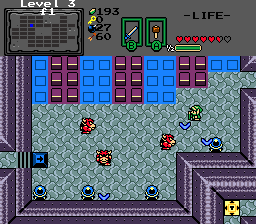 I understand the quest is called "Maze of Hyrule 2", but it seriously didn't feel like much of a maze lol. 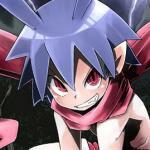 If you ever make future projects though, I do wish you good luck, and I hope you take my points into consideration. Just tried this quest. As a small suggestion, I'd try to do some sort of spell-check. I've noticed numerous spelling errors. Just a suggestion, though! Pretty good quest so far.